The "Mars Rover" game by NASA and Gamee allows players try driving a Red Planet rover and share their success through social media. NASA released the game to celebrate the Curiosity rover's fourth year on Mars. A fun new app lets users explore the rugged terrain of Mars, just as NASA's Curiosity rover began doing for real four years ago. The free game for computers and mobile devices, called "Mars Rover," should help players get a better appreciation of what Curiosity is up to on the Red Planet, NASA officials said. Game players also search for buried water using radar, just as the agency's next Mars rover will do. JPL worked with the GAMEE game-player network to develop "Mars Rover." 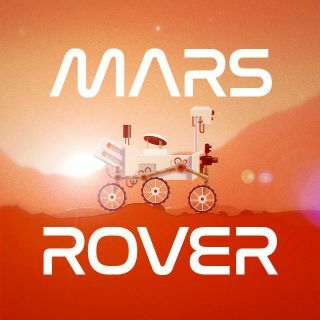 You can download the game, and learn more about how it relates to real-life Mars exploration, here: http://mars.nasa.gov/gamee-rover/. "Using social networks, the user can share the fun with friends," Viotti added. "The interest that is shared through gameplay also helps us open a door to deeper literacy in science, technology, engineering and mathematics." The new game "Mars Rover" lets users explore the rugged surface of the Red Planet. The app's release date coincides almost exactly with the fourth anniversary of Curiosity's Mars landing, which occurred on the night of Aug. 5, 2012. During its time on Mars, the $2.5 billion Curiosity mission has determined that parts of the planet could have supported microbial life billions of years ago. Indeed, Curiosity found that the area near its landing site inside the 96-mile-wide (154 kilometers) Gale Crater was a lake-and-stream system that likely persisted for millions of years in the ancient past. NASA's Mars rover Curiosity took this photo on Aug. 2, 2016, during its close-up investigation of a rock target called "Marimba" on the lower slopes of Mount Sharp. Curiosity is now exploring the foothills of Mount Sharp, which rises about 3 miles (5 km) into the Martian sky from Gale Crater's center.